Wait…September is already ending? That doesn’t make sense to me! Well, I guess it does. It was an extremely busy month in which I had to travel out of state twice and we celebrated three big holidays…here are some of the highlights. 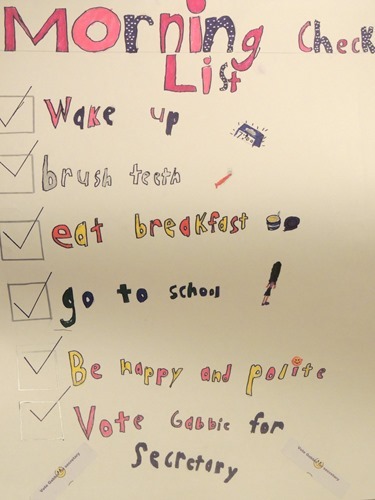 Gabbie ran for Student Council Secretary – and won! We celebrated Rosh Hashanah, Yom Kippur, and the beginning of Sukkot. I reviewed Fresh-Tips, the Egg-Tastic, and the Gadget Grab. I traveled to Arizona to visit my grandmother when she got ill, and two weeks later I went to NJ for her funeral. I started researching my family tree. I finished watching Gilmore Girls and Scandal came back! Right now, it is the middle of the Sukkot holiday, and then after next week, I am hoping things will be less busy around here!